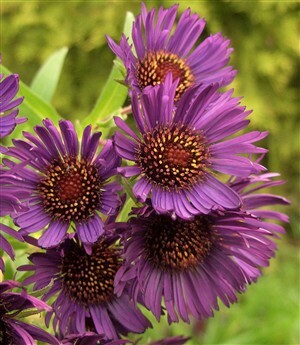 Aster n angliae 'Marina Wolkonsky' The darkest purple of any autumn aster with dark centres lightened with hints of orange. Very requested. Sun or light shade. (Symphyotrichum n angliae 'Marina Wolkonsky').